Sao Paulo is one of the most popular private flight destinations in Latin America. Charter a private jet and fly to Sao Paulo, the vibrant financial center of Brazil and one of the world’s most densely populated cities. It’s the capital city of the Southeastern state of São Paulo, and is famous for its exciting nightlife, numerous cultural institutions and rich architecture. Hiring a private jet into (SBGR, GRU) São Paulo–Guarulhos International Airport is the most comfortable, secure and stylish way to get to and from Sao Paulo, and our company was created to offer the highest standards in executive and leisure travel. 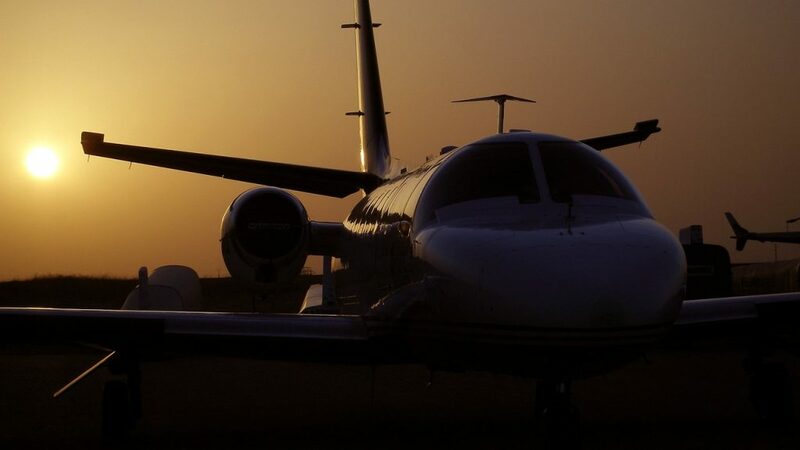 Air Charter Advisors offers on-demand private jet charter service to/from Sao Paulo, Brazil with access to thousands of private aircraft around the world. This flexibility gives us the confidence to arrange the right aircraft for your trip, whether you’re flying internationally or domestically. Our company is Wyvern-certified, giving us some of the highest standards for safety and due diligence in the aviation industry. All of the private jets and turbo-props we use for private flights to Brazil and surrounding areas of South America are operated by FAR Part 135 (or foreign equivalent) air carriers. Our list of distinguished clients has grown to include royal family members, heads of state and C-level executives from major corporations; we’ve also arranged charter flights for celebrities, personal assistants and leisure travelers from around the world. Call or request a quote for your charter flight to Sao Paulo. Our team is here to help you with all of your private aviation needs, from booking your private jet and creating its flight itinerary to arranging gourmet in-flight catering, luxury ground transportation or meeting any other requests you may have – consider our Sao Paulo Jet Charter team your one-stop shop for all things private aviation in Brazil. Air Charter Advisors can arrange for your private flight to arrive at one of the following airports near Sao Paulo, Brazil. The airports listed below are located within Sao Paulo, and are the most requested arrival airports for private charter flights heading to the area. Need to charter a business jet to Sao Paulo’s (SBGR) International or (SBSP) National Airport? You’ve come to the right place! Sao Paulo ranks as one of the top destinations in South America for private and business aviation, and Air Charter Advisors is your comprehensive source for private jet charter service to/from Sao Paulo, Brazil! Our company offers the highest standards in on-demand executive jet charter service, providing a wide range of executive concierge services to complement your flight that allow you conduct business while traveling with the utmost comfort and privacy. Considered the “financial capital of Brazil”, Sao Paulo is where the headquarters of major corporations, banks and financial institutions are based in Brazil. Home to the highest GDP in Brazil, the city accounts for approximately 12% of the nation’s GDP and around 36% production of all goods and services. Brazil’s official stock and bond exchange, the São Paulo Stock Exchange (BM&F Bovespa), is based here, and it’s the largest stock exchange in Latin America, trading about $3.5 billion per day. São Paulo is also home to 75% of the main business fairs in Brazil, including the Latin American Business Aviation Conference & Exhibition (LABACE). The top commodities exported here are soybeans, raw sugar, coffee, sulfate chemical wood pulp and corn. The city is home to numerous research and development facilities, attracting companies together with several renowned universities. 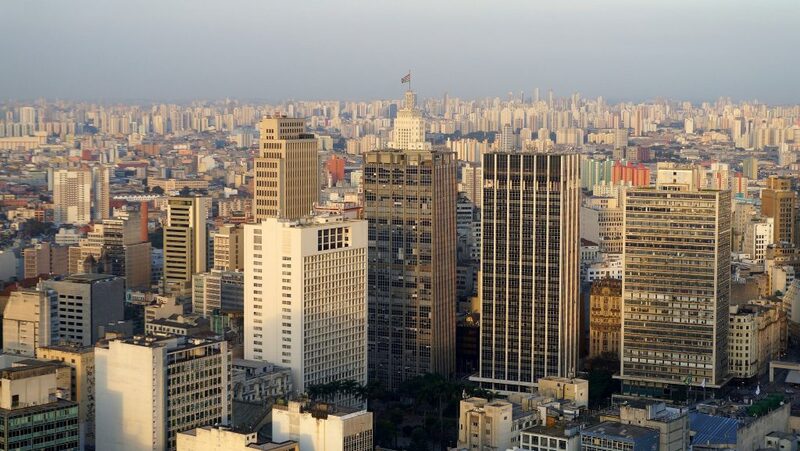 Science, technology and innovation are funded by the state government, mainly carried by the Foundation to Research Support in the State of São Paulo. No matter what business ventures bring you to South America, our friendly private aviation team will be available to you 24/7 to to arrange your executive charter flight to Sao Paulo, Brazil. Sao Paulo, home to a population of more than 11 million residents and more than 20 million in its metropolitan region, is the largest city not only in Brazil, but in all of South America as well. 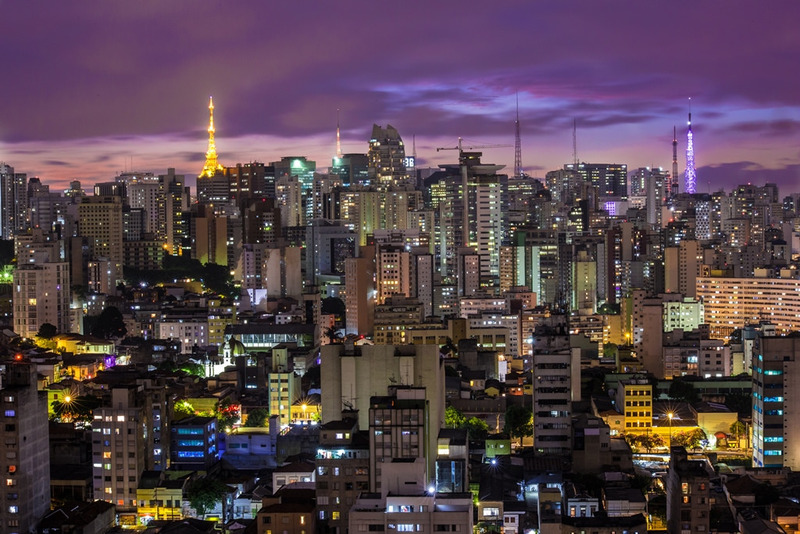 Often overshadowed by the glamorous beaches of Rio and Salvador, Sao Paulo (often referred to as Sampa) is one of the most underrated tourist cities in the Southern Hemisphere – world-class cuisine, diverse geography and a variety of cultural activities make it an amazing place to visit. It’s also one of the richest cities in the world, where private jet travelers will have no trouble finding the world’s top luxury brands on display in shopping malls throughout the city. 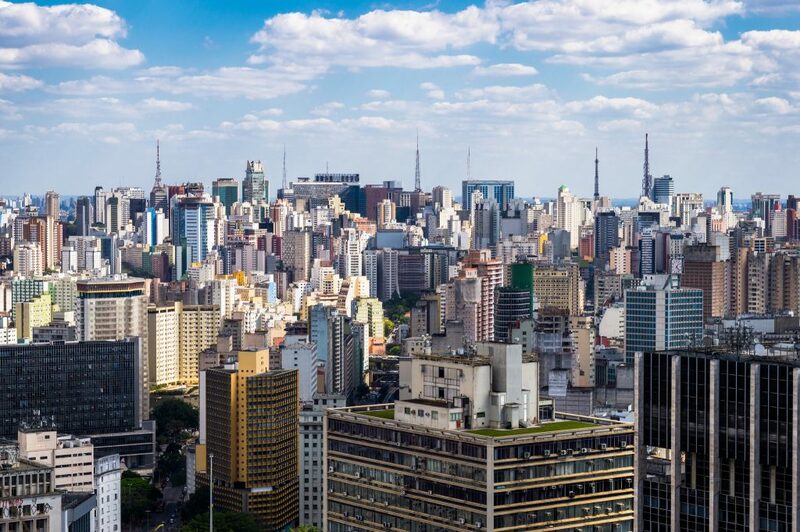 Charter a private flight to Sao Paulo and discover everything this mega-metropolis has to offer. Although the first impression might be that of a grey concrete jungle – you wouldn’t be wrong – visitors will find pockets of hidden beauty throughout the city in a variety of districts. The best dining, nightlife, and museums in Sao Paulo are concentrated in the city’s historic downtown and neighboring areas located to the west. As result, a majority of visitors stick to this area – venture beyond these areas and you may discover an entirely different city altogether, from tropical rainforests and affluent neighborhoods to the dangerous, impoverished slum districts. One of the most important avenues in all of Brazil, the avenue stretches nearly 3 kilometers and is where you’ll find the top luxury hotels in the city. As one of the richest cities in the world and an incredible tourist destination, Sao Paulo is home to an impressive roster of five-star hotels that rival any luxury destination around the world. Jardins Paulista is where you’ll find the highest concentration of five-star hotels, offering a countless amount of activities in the heart of the city including theaters, dining, museums and historic/cultural sites. The following are examples of hourly rates for private jet, turbo-prop and helicopter rentals in Sao Paulo, Brazil. Due to the high-volume of flights to/from Sao Paulo, many operators offer empty leg charter flights, which can greatly reduce the cost of your rental. Brazil is the most popular region for private aviation in South America, and our team can arrange your private charter flight on any of the following Wyvern-certified aircraft. All of the aircraft we arrange are operated by FAR Part 135 or 121 (or foreign equivalent) air carriers, giving you peace of mind when arranging your private flight. After providing us with your trip details, ACA will provide you with a variety of options based on the goals and budget of your trip, whether you’re searching for a cost-effective option or the most luxurious private jet on the market. Check out our Aircraft Gallery for more details on all of the aircraft available for your trip. Air Charter Advisors utilizes the following airports when arranging private jet charter service to/from Sao Paulo, Brazil and surrounding areas of South America. Fly private to São Paulo–Guarulhos International Airport (IATA: GRU, ICAO: SBGR), the busiest airport in Latin America in terms of passenger traffic. Officially listed as São Paulo/Guarulhos–Governador André Franco Montoro International Airport, GRU is located just 16 miles away from downtown. 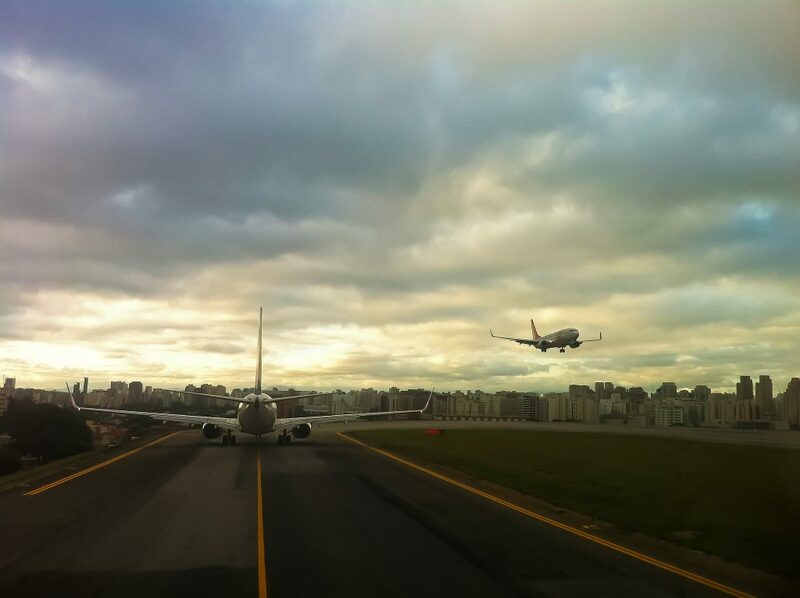 Guarulhos Airport underwent several upgrades leading up to the 2014 FIFA World Cup and 2016 Summer Olympics, and features its own highway system. GRU averages 650 takeoff/landings per day, and the airport has slot restrictions, operating with a maximum of 45 operations/hour. It’s one of five airports with these restrictions in Brazil (São Paulo-Congonhas, Brasília, Belo Horizonte-Pampulha and Rio de Janeiro-Santos Dumont). (SBGR, GRU) Guarulhos features two parallel asphalt runways, each long enough to accommodate charter flights arranged in almost any size aircraft, from turbo-props to mid-size and long-range jets. The airport has three passenger terminals, and Lider Aviação, Royal FBO, Universal Aviation and Signature Flight Support offer FBO services at GRU. Arrange for your private charter flight to arrive at São Paulo/Congonhas Airport (IATA: CGH, ICAO: SBSP), one of three commercial airports serving the city. It’s located just 5 miles from downtown in the district of Campo Belo. In 2003, Infraero, the Brazilian airport administrator, began a comprehensive renovation of (CGH) Congonhas-São Paulo Airport, remodeling departure and arrival halls with the installation of 12 jetways, a new parking garage, and resurfaced runways. Future developments are hindered by the city’s dense urban growth, surrounding the airport and limiting expansion. The central hall of the passenger terminal is regarded by many as one of the best examples of modern architecture in the country. Like Guarulhos, Congonhas also has slot restrictions and operates with a maximum of 30 operations/hour. FBO services are offered at (SBSP, CGH) Congonhas Airport by Lider Aviação, Royal FBO, Universal Aviation and Signature Flight Support. Charter a private jet to Campo de Marte Airport (IATA: MAE, ICAO: SBMT), centrally located 4 miles from downtown São Paulo in the district of Santana. The airport is named after Champ de Mars in Paris, which got its name from Campus Martius in Rome. Campo de Marte is homes to a flying school, as well as helicopter and general aviation services. The airport has limited night operations in place, which are typically limited to helicopters. (SBMT, MAE) Campo de Marte features a single asphalt runway measuring 5,250 feet in length, and two helipads for private helicopter charters. There are currently no scheduled flights to/from the airport, allowing it to focus on general and business aviation. Request a Quote or give us a call at 1-888-987-5387 to speak with one of our Jet Charter Sao Paulo service brokers for your next luxury vacation, business trip, or special event.